Contract Awarded for Tallest ICF High Rise in U.S.
A 16-story mixed-use development near New York City will set a new benchmark for the construction industry. The innovative project will be the most energy-efficient large-scale buildings in Westchester County, New York. It is projected to be the tallest building to be built in the United States with Insulated Concrete Forms (ICFs). The development, dubbed 42 Broad, is a luxury transit-oriented-development (TOD) located in Mount Vernon’s prestigious Fleetwood neighborhood. The site is three blocks from the Metro-North Railroad Harlem Line (Fleetwood stop – 30 minutes to Grand Central Station) in Westchester County. The project–a joint venture of The Bluestone Organization, Alexander Development Group, and JP Morgan Chase–consists of 249 luxury rental apartments, approximately 20,000 sq. ft. of retail space, and the refurbishment of an adjacent parking garage. Fitting the character of the neighborhood, tenant amenities will be first-class. Plans call for a heated swimming pool, large community/party room, fully equipped gym, and a library/reading room. Structural walls for the 16-story tower will be formed with Insulated Concrete Forms (ICFs), which sandwich a core of steel-reinforced concrete between panels of rigid polystyrene foam insulation on each side. While a handful of ICF buildings exceeding 16 stories have been built in Canada, 42 Broad Street is reported to be the tallest ICF building in the United States. 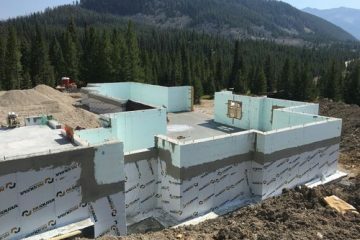 In another innovative first, the ICFs will arrive at the jobsite as custom-made panels up to 50-feet in length. The panelization will be done off-site at an assembly plant operated by ICF Panels of Scotia, New York. On multi-story projects such as this one, 100% of the walls can be panelized prior to construction of the applicable floors. Panels will be delivered to the jobsite ready to be braced and poured. Bucks, weld plates, and lintel rebar will be installed prior to shipping. 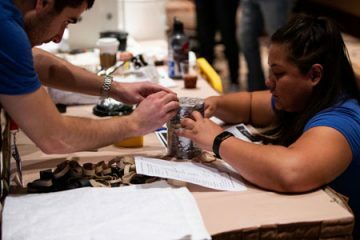 The majority of the reinforcing steel for temperature and shrinkage control will be replaced with Helix Steel, a twisted steel micro rebar technology developed for the military that creates a stronger concrete with better consolidation and pour characteristics. ICF Panels has proved its methods on other high-profile projects, including 350 Clarkson Ave. in Brooklyn. Panelization offers a number of other benefits, such as reduced hazard insurance, less form waste, virtually no weather delays, and improved worker productivity. It’s an attractive option for commercial developers, designers, ICF installers and others wanting to maximize profits and gain market share. For additional information, please visit the ICF Panels website. Available under several different brand names, ICF is an acronym for Insulated Concrete Form, which consist of two rigid EPS foam panels which sandwich a core of reinforced concrete. The steel reinforced concrete provides exceptional strength and thermal mass. The overall R24 foam provides a continuous layer of insulation, and furring strips, typically 6’ to 8’ on center, are embedded within the foam on each side of the form. The ICFs are compatible with any finish or flooring system on the market. The final result is a building that is energy-efficient, environmentally friendly, and virtually indestructible. The construction method offers a host of benefits, such as faster construction times, lower insurance rates, and quieter interiors, but the two primary reasons behind their growth is their remarkable durability and energy efficiency. ICF Panels is the leading provider of prefabricated ICF panels. Based in Scotia, New York, the company works with all major ICF brands, and will work with designers and owners to optimize value. By building the wall sections indoors, construction delays due to inclement weather are eliminated. On multi-story projects, walls can be panelized prior to construction of the applicable floors. This makes it possible to erect and pour all the walls on a floor in hours instead of days. 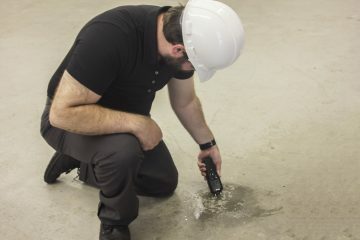 A number of other benefits, such as lower hazard insurance, less form waste, and improved worker productivity will result in additional cost reduction. ICF Panels are delivered to the jobsite ready to be braced and poured. Bucks, weld plates, and lintel rebar are installed prior to shipping. The majority of the reinforcing steel can be replaced with Helix Rebar, which ensures better consolidation, smoother pours, and stronger walls. Helix Rebar will be shipped to the jobsite along with the wall segments to ensure availability. ICF Panels is set to revolutionize construction through automation and vertical integration. 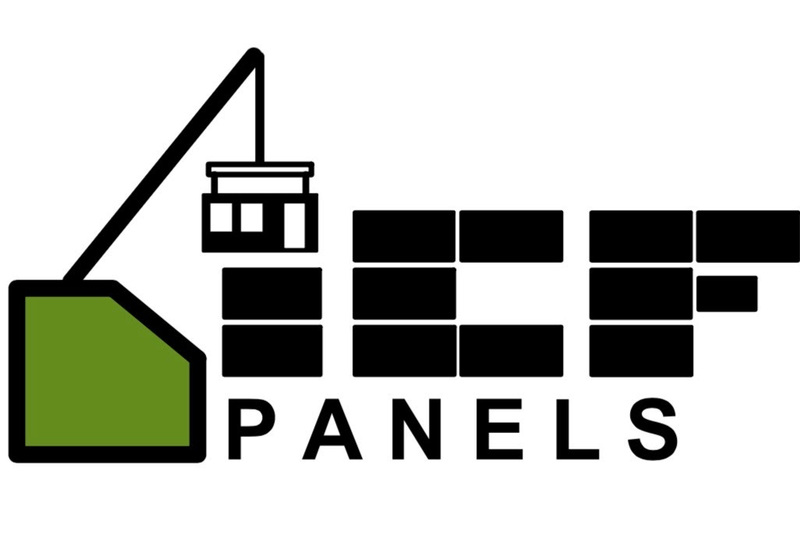 If you are a commercial developer, designer, or ICF installer wanting to maximize profits and gain market share, please contact ICF Panels, Inc. for additional information.